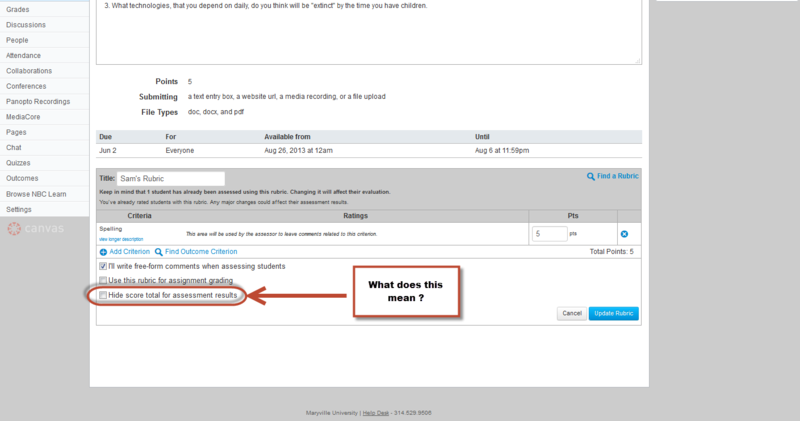 In Canvas, when students view the Grades page, they can sort grades by Assignment Group, Due Date, Module, and Title. By default, sorting is by Due Date. 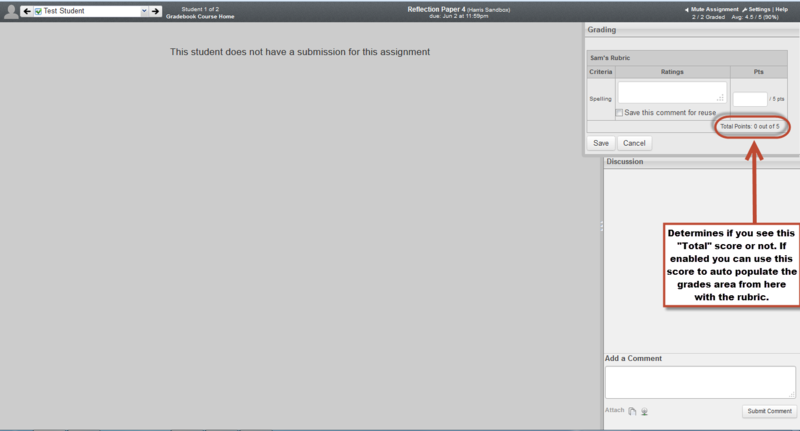 If Modules or Assignment Groups aren’t used in the course, they won’t be included in the sorting options. 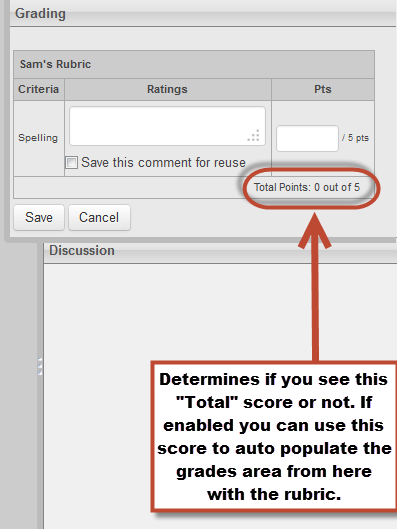 If enabled, it does not calculate the rubric score and translate that automatically to the grades area. So, if you use a rubric, and want to grade from AND want Canvas to take the rubric grade and auto place it into the grades area, keep this option unselected.